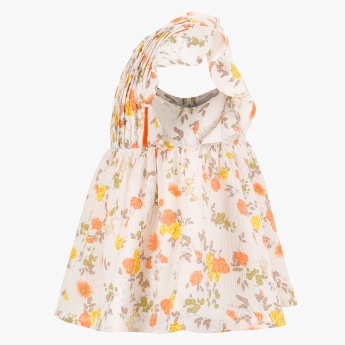 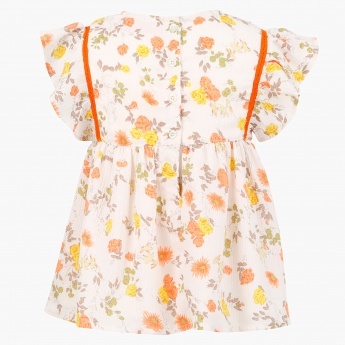 Let your little one bloom in style with this floral blouse. It features an all over print, flutter sleeves, a button placket on the back and a ruched front and a complementing lace trim. 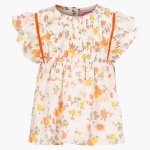 She can wear it with a pair of denim shorts and flats on a casual day out.